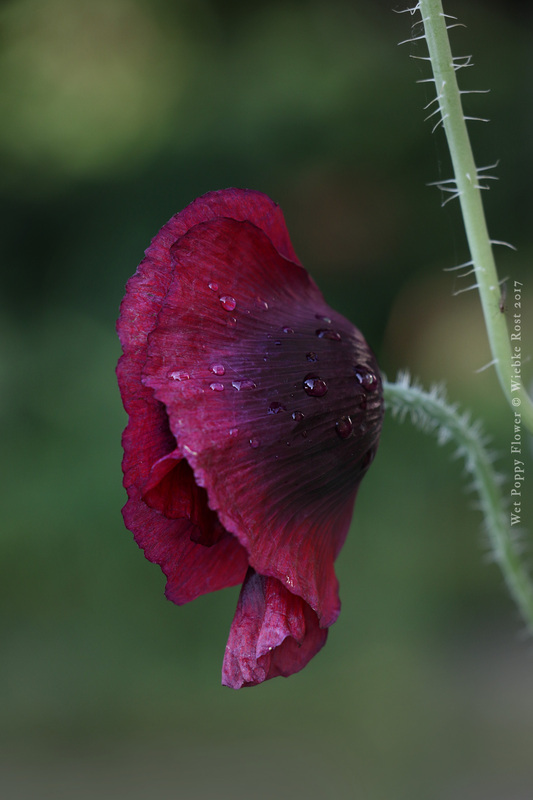 Poppy flower after the rain, photographed June 2017. I adore the color. Every morning new flowers with different colors and shapes open, as the old ones fade, just as Harold Roth described in his book “The Witching Herbs”.